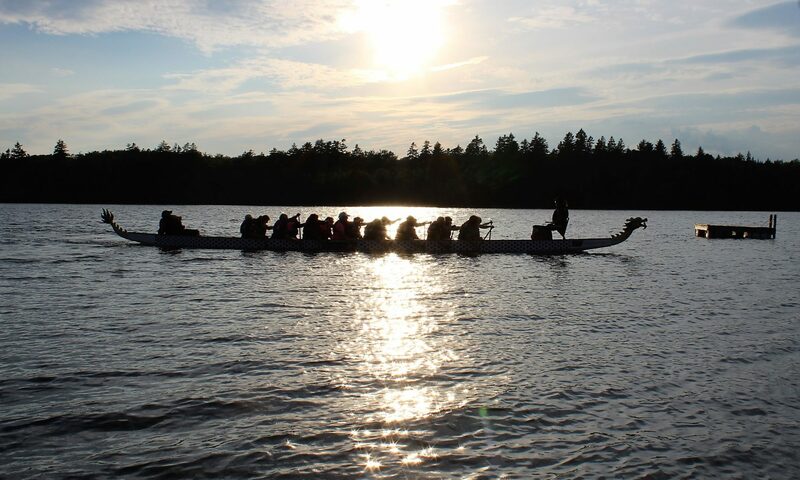 Our paddling season starts in April or May, as soon as we are able to launch our boats. Practices are held at Treadwell Lake near the airport. We usually practice twice per week and the schedule depends on the availability of the coaches. We paddle in all types of weather unless the coach identifies a safety issue (high winds, lightning) so dress for the weather. Lightweight, comfortable clothes and water sandals or other footwear designed for water are recommended. Many members prefer to bring water bottles to hydrate during practice. In order to schedule practices, the captain needs to know how many members will attend practice each week. The captain will advise members the best way to indicate weekly participation. 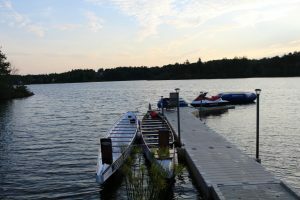 Members are requested to arrive at the practice site a half hour before practice to put on a lifejacket, select a paddle and do warm-up exercises. Safety is of prime concern. The coach and/or captain will select where paddlers sit in the boat and paddlers enter the boat in a prescribed order. Paddlers are requested to listen to the coach and refrain from talking while paddling. Practices usually last one hour and include brief breaks. Each member must provide emergency information to the captain as specified on the membership form. The captain will bring emergency information, a first aid kit and a cell phone in the boat for each practice. Please record emergency health information on a small card and insert card in a pocket of your lifejacket. Breasts Ahoy participates in one or more festivals each paddling season. We paddle until the end of September.